In 1760 great-great-grandfather Francesco Calogiuri was a cook to a noble family in Lizzanello, whose surname was Chiurlia. As cook for this family, Francesco employed a dense cooked grape must to bring out the full flavour of the local cuisine. The same grape must was also used as a medical restorative remedy. In the beginning of the 19th century, after the Chiurlias family moved to Naples, Pietro Calogiuri, Francesco Calogiuri’s son, became a small local olive oil producer, whilst at the same time perfecting the recipe of his cooked grape must. 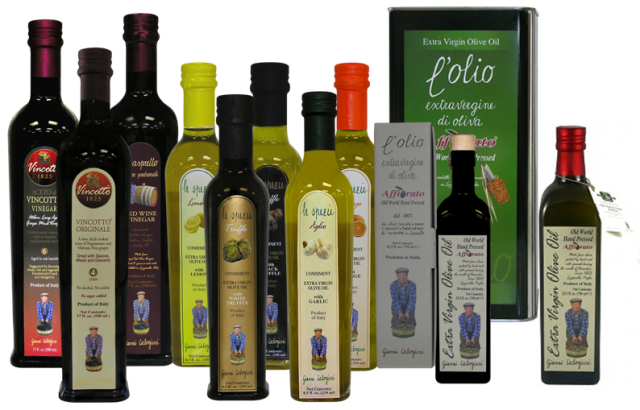 In 1825 Leonardo Calogiuri, Pietro Calogiuri’s son, opened a small business selling olive oil and wines. During this period he began to use, for his own family’s use, the cooked grape must handed down from his father, and called it “Vincotto”.